Pinion gear (6) Put in. The adjustments made on rear-rear axle differential carrier are preformed to establish the proper gear tooth contact. 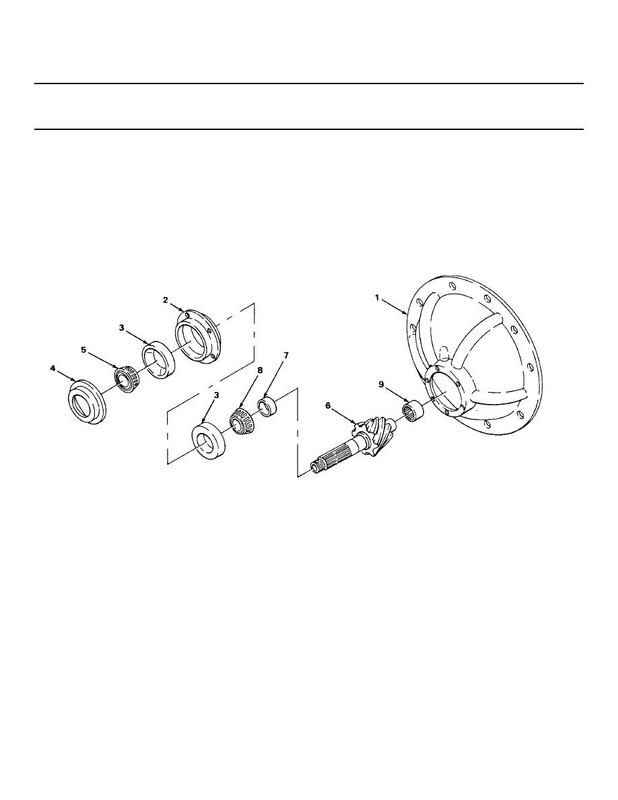 Correct contact will result in a long wearing, quiet running rear axle assembly.